On 17 September 1755 Jean-Marc Vacheron, a young twenty-four year old master watchmaker from Geneva, signed on his first apprentice in front of a notary. This contract, the oldest document testifying to the history of Vacheron Constantin, officially marks the birth of the Watchmaking Company, to date the oldest in the world. In over 260 years of interrupted activity, Vacheron Constantin has succeeded in marrying centuries of craftsmanship with state-of-the-art technology, to continue making increasingly sophisticated timepieces. “Doing better if possible and it’s always possible”. The words of François Constantin, on 5 July 1819, embody the Vacheron Constantin approach which, over the course of the centuries, has wisely combined tradition and innovation. The oldest Watchmaker’s in the world boasts watches and movements that have made history; each prototype aims for perfection, born as it is out of a knowledgeable combination of watchmaking experience and a constant appreciation of aesthetics. Each calibre is embellished by handcrafted workshop finishes, such as anglage (bevering) , perlage (stippling), Côtes de Genève (Geneva stripes) or black polishing. 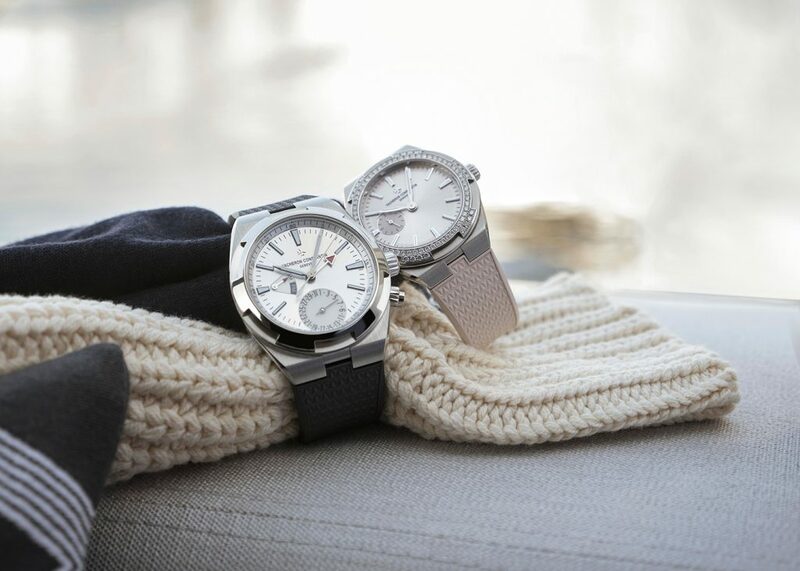 Overseas watches are perfect for the modern gentleman: they are dynamic, elegant and practical. An open mind on the world, inherited from François Constantin, has been a core value for the Brand ever since its inception, and it has led to the creation of timepieces that fully embody the pioneering spirit. The interchangeable watch straps and an improved strap adjustment system endow this watches with a casual yet practical elegance. The perfection of the circle, the search for the essential. The Patrimony collection adopts a minimalist aesthetical approach in which lines and curves merge into perfect harmony. 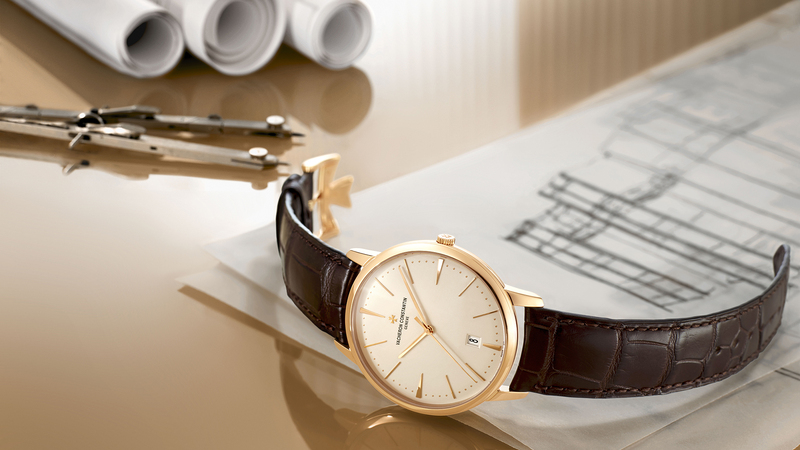 The Patrimony models have thin cases that are a throwback to Vacheron Constantin’s models of the Fifties. Among the most noble expressions of Geneva’s 18th century ‘Haute Horologerie’ traditions, the Traditionelle line timepieces hark back to its history and its rules. From the simple to the complex, all these watches pay homage to the high quality craftsmanship and knowledge passed on from generation to generation. 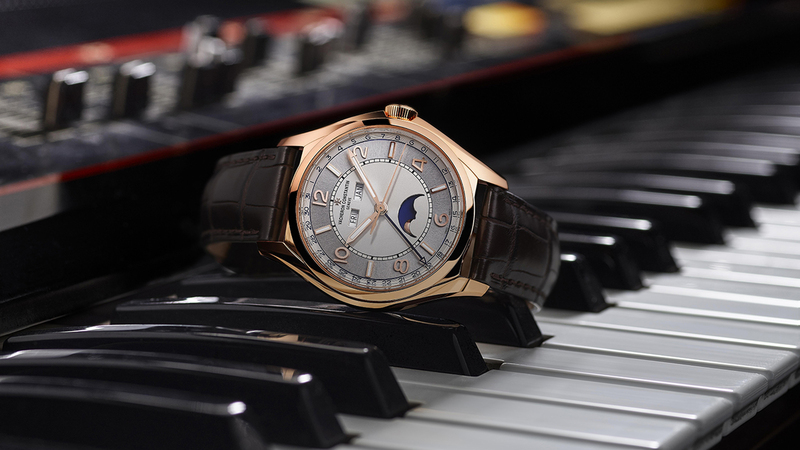 A date associated with the name Vacheron Constantin recalls one of the Brand’s iconic models. Fiftysix has a cosmopolitan and modern style, a strong personality which it reveals through the contrast between the classical dial and the modern lines of the case. The latter is inspired by the Maison’s Maltese Cross-shaped emblem, a motif that also decorates the pink gold oscillating weight. The Historiques collection is an update of a few iconic earlier models created by the Maison, to pay homage to Vacheron Constantin’s unbounded creativity. These legendary creations have been brought back to life in Haute Horologerie models that combine technical refinement and daring aesthetics. 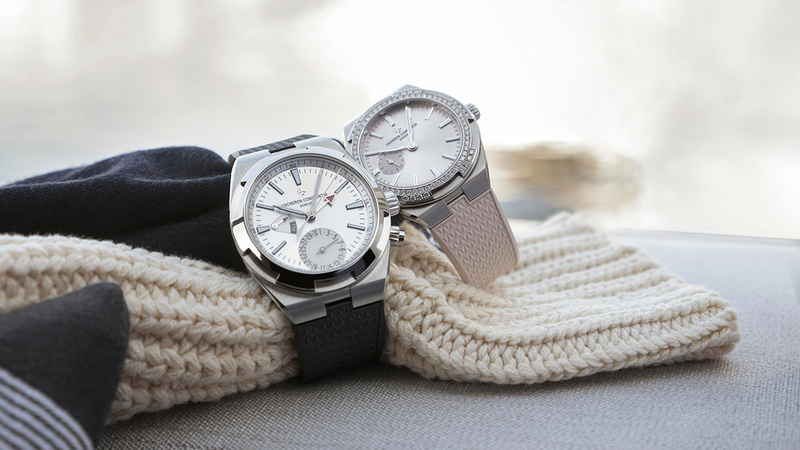 A historic address for Vacheron Constantin, emblematic of Geneva’s watchmaking excellence and the cradle of the “Cabinotiers” watch craftsmen of the 18th century, the Quai de l’Ile district in Geneva lends its name to this collection that belongs in the 21st century. 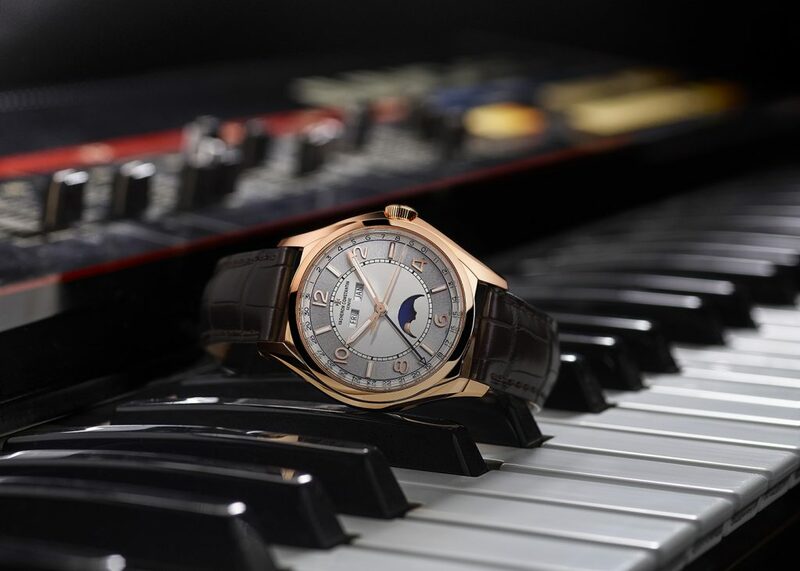 The Quai de l’Ile line embodies the artistic flair with which Vacheron Constantin reinterprets its technical and aesthetic heritage built up over 260 years of uninterrupted production. A clock has an internal mechanism that is made up of many cogs that are constantly moving and coming into contact. That’s why Vacheron Constantin suggest that every watch should be checked every 4-5 years, partly to guarantee the reliability of the watch and the conditions in which it has been used. In this way one can assess the need for a thorough servicing to clean the mechanism of any lubricant oils, which over the years are naturally bound to lose their effectiveness, ensure that the case is still watertight and that the watch is in top working condition. For all watches, but especially for those that come into contact with water, Vacheron Constantin recommends checking that the case is still watertight every year. One can ask for a free wet test to confirm water tightness from the Hausmann & Co. Servicing Centre. Windows on Time: photo reportage of Vacheron Constantin's watches exhibit at Hausmann & Co.